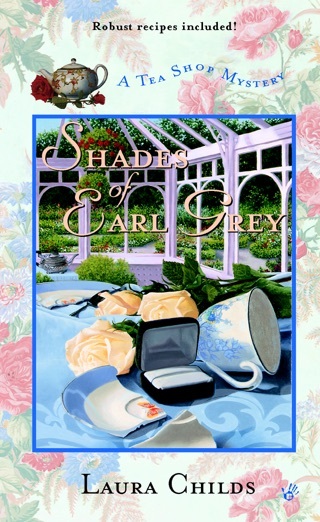 I love the tea shop series and this was no exception. The characters feel like old friends! Without giving any spoilers, I would have liked to gotten to know a few of the suspects a bit better. I’m already looking forward to returning to Charleston in the next book! 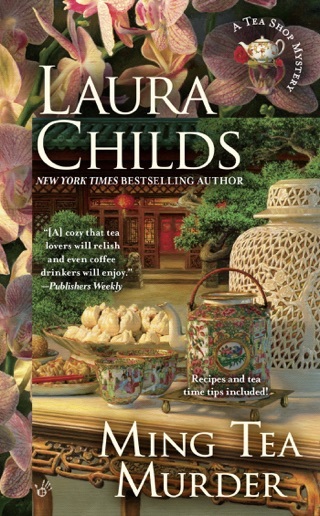 Broken Bone China may be the twentieth A Tea Shop Mystery, but you can read alone. 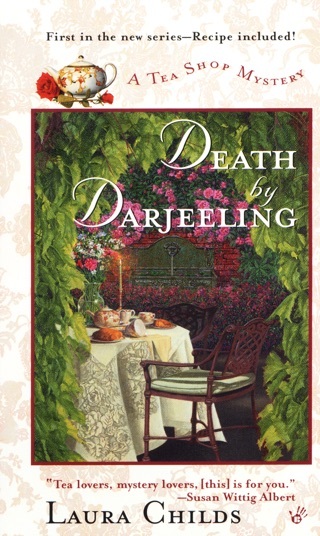 I highly recommend reading this entire delightful cozy mystery series. 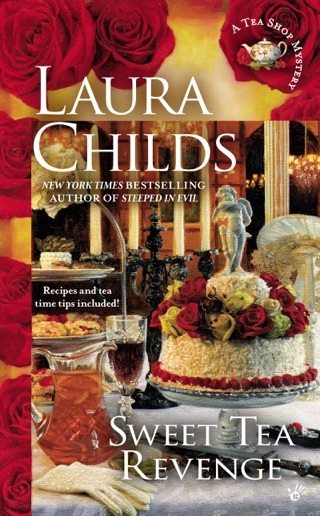 I am happy that I discovered Laura Childs’ A Tea Shop Mystery (and the cozy mystery genre) while perusing a bookstore eighteen years ago. I thought Broken Bone China was well-written and proceeds at a steady pace. The book contains developed characters like Theo, Drayton, Haley and Detective Tidwell. I just love Theo’s adorable dog, Earl Grey. Haley, Drayton and Theo have become close friends and have a good working relationship. I enjoy the interactions between the three of them. 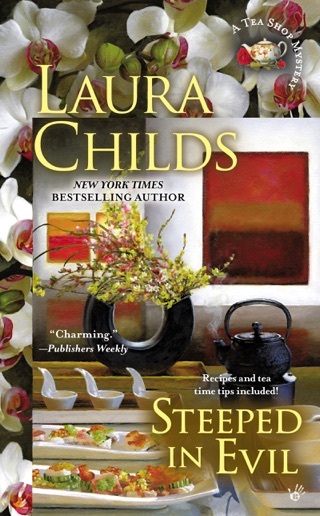 I appreciate Laura Childs wonderful descriptions of the Indigo Tea Shop, Charleston, the beautiful antiques, books, Haley’s tasty dishes and the entrancing teas (I can just imagine how they would smell). 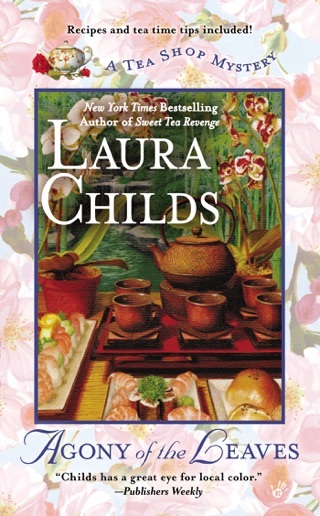 The authors descriptive prose transports me into the world of A Tea Shop Mystery series. I wanted to attend the charming Nancy Drew tea that the shop hosted with the creative decorations and I liked the reference to Trixie Belden (I am a Cherry Ames girl myself). The mystery was multifaceted with a murder and a missing flag. I loved the ingenious method of killing employed by the author. There are good clues to assist readers in solving the mystery with misdirection to throw you off track. There is one little loose end at the end of the book regarding the secret sipper from Tea Faire magazine (I am hoping the author will address it in the next book with a positive review for the tea shop). There are recipes from the tea shop at the end along with tea time tips. A preview of Mumbo Gumbo Murder is included (the next A Scrapbooking Mystery). Ms. Childs has created another winner with Broken Bone China. The only sad part is that I now must wait a year to revisit Theo and the Indigo Tea Shop. 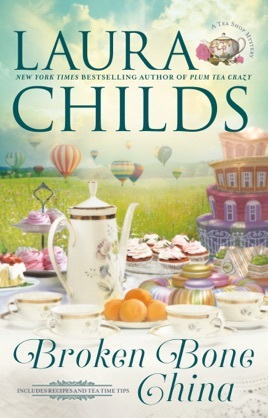 If you are looking for an uplifting cozy mystery, look no further than Broken Bone China.